In today’s world, being in a relationship has taken on many definitions. A variety of lifestyles abound; gay, lesbian, man-woman, young-old, old-young. The list is endless, but there is one common thread that all these relationship share. Each person wants to be the very best they can be for their partner. That means looking their best, keeping fit, and presenting themselves in the most desirable manner. A major part of presenting oneself in the most desirable manner is cleanliness. At the end of the day, freshen up and then use the Original Bidet Bottle to get truly clean where it counts. Night time is the time intimacy presents itself, so use the OBB to ensure you are clean before going to bed. 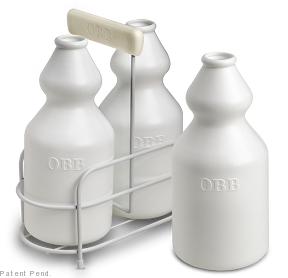 Use the OBB to not only wash yourself, but to intimately wash your partner as well. Now you can both feel secure that you are clean and have no worries should intimacy take place. Regardless of your sexual preference, you can now feel secure and confident that you are truly clean for your partner by using the Original Bidet Bottle. Please visit the other pages to read more about How to Use the Original Bidet Bottle for water cleansing. Find new true cleanliness, as well as some very loving and intimate benefits for you and your loved one.